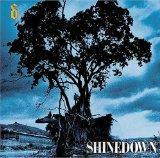 Shinedown's debut album title, was released on May 27, 2003. Leave a Whisper includes such hits as, "Fly from the Inside" reaching number 5, "45" reaching number 3, "Simple Man" reaching number 5, and "Burning Bright" reaching number 2 on the US Mainstream Rock list. Leave a Whisper is Shinedown's second best-selling album and has been certified platinum by the RIAA in the United States. Click on a song to view the lyrics. *The final three tracks only appear on the enhanced edition.